Home > News and Videos > News > What is Audi e-tron? By now we are sure you’ve heard the name Audi e-tron. Introduced in 2009, e-tron has been attached to a wide range of concepts over the years, but the name isn’t just for out-of-this-world prototypes unveiled at auto shows and then forgotten. It’s much more than that, in fact. At its core, e-tron is the designation for Audi’s lineup of electric or plug-in hybrid vehicles. At the moment, only one e-tron model exists with a second vehicle planned for next year. If you’re looking for all of the refinement and performance Audi vehicles are known for, but with incredible fuel economy, e-tron and more specifically the Audi A3 Sportback e-tron, may just be the way to go. The 2018 Audi A3 Sportback e-tron has two distinct features. For starters, it’s the only remaining A3 left in North America with a hatchback. The A3 used to be all hatches, but the current generation adopted a sedan body style when it was introduced a few years back. 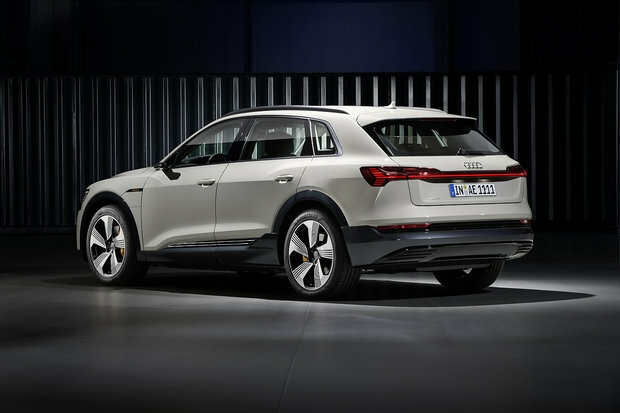 The e-tron version, however, remained a Sportback with all of the cargo capacity benefits that come with it. Under the hood, the A3 Sportback e-tron gets a plug-in hybrid powertrain that combines a 1.4-liter tubocharged four-cylinder engine with a 76-kW electric motor. The latter is powered by a 8.8-kWh lithium-ion battery that can power the A3 e-tron for about 25 kilometers on electric power alone. In other words, most of your daily commutes will be accomplished without needing a single drop of fuel. If you need to go further, however, you can thanks to the gas engine which provides not only impressive accelerations and performance, but that is also quite efficient in its own right. Combined fuel consumption is less than 7.0 liters per 100 kilometers which is impressive considering the A3 Sportback e-tron gets to 100 km/h in about 6.3 seconds. The next e-tron model slated to be put on sale is the Audi e-tron Quattro. Powered by three electric engines, the e-tron Quattro is a fully electric premium SUV arriving next year. With 355 horsepower on tap, it will provide quite a bit of power, but buyers will likely be even more impressed with the 400 kilometers of range made possible by a 95 kWh battery. 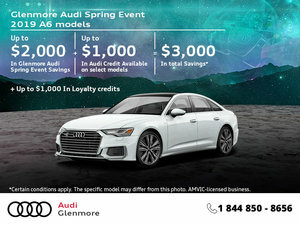 Contact us today at Glenmore Audi to learn more about the 2019 Audi e-tron Quattro or the 2018 Audi A3 Sportback.